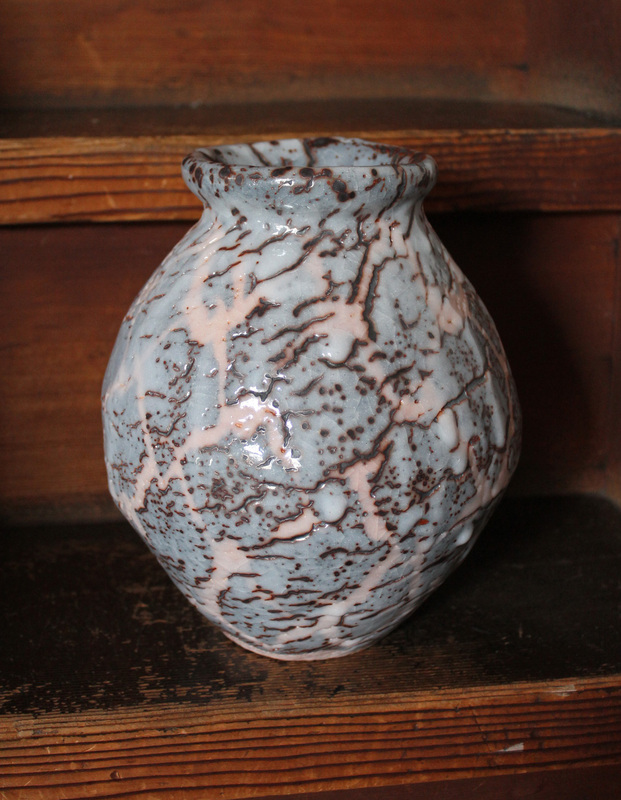 In the 1973 book called ‘Kama-betsu, Gendai no Tougei’ (Individual kilns, Contemporary Pottery) by the late Kuroda Ryoji he wrote that seven potters were the upcoming stars of Mino. 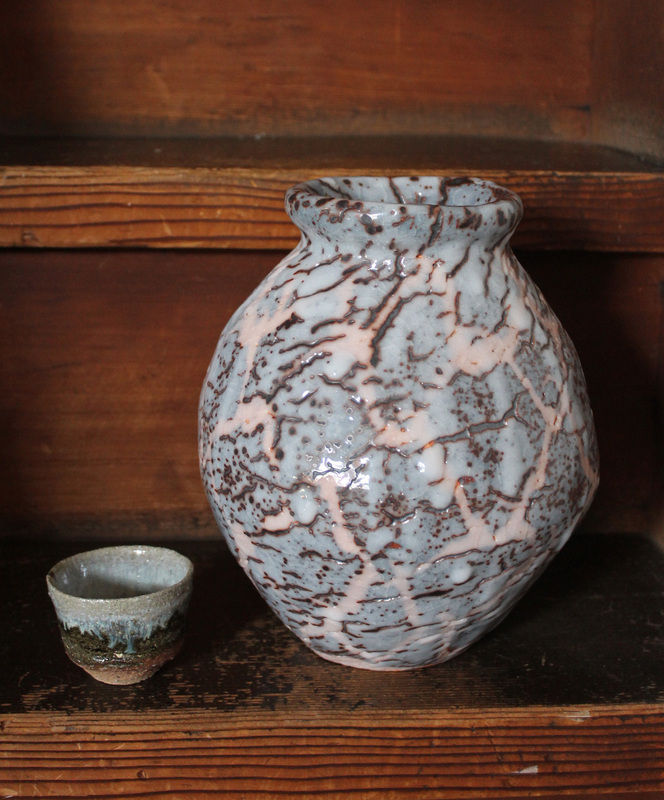 Among them was Hayashi Kotaro (1940-1981); the others were Kato Kagekiyo (1930-1979, Seizo), Suzuki Osamu (current Shino Living National Treasure), Matsuyama Suketoshi(1916-2006), Kato Kozo(Gifu LNT for Black Seto), Tamaoki Yasuo, Ando Hidetaka, and Okuiso Eiroku (1930-1987). 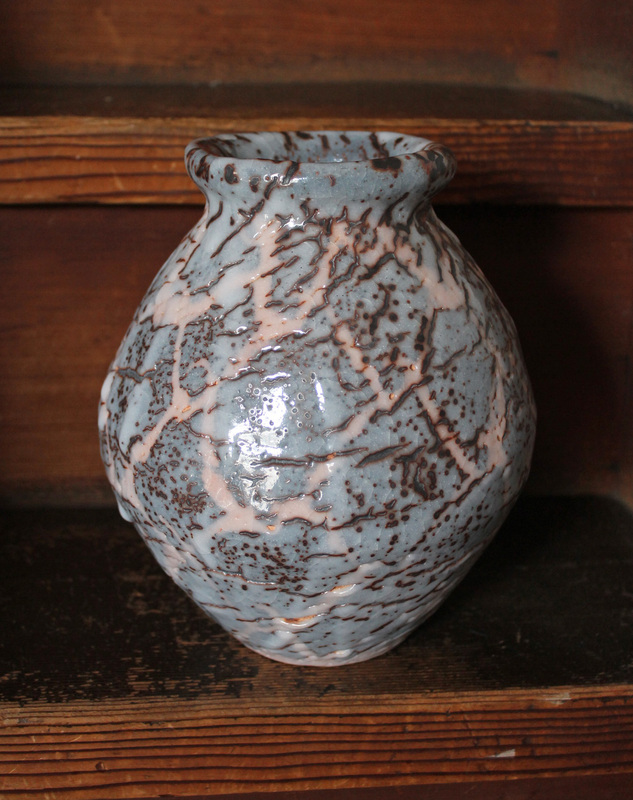 All created, and some still create, some of the finest Mino pottery ever seen in Japan’s long history. 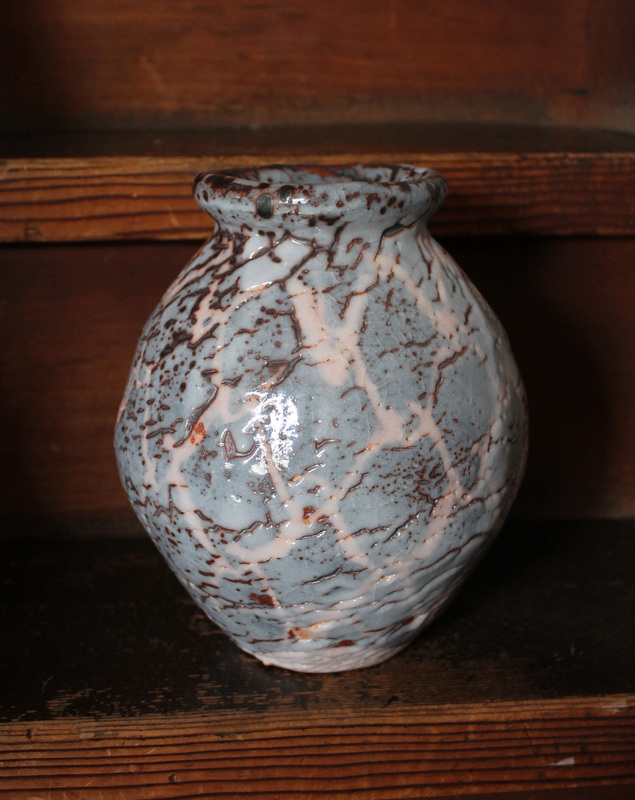 Hayashi was a pioneer in a sense, and if he had not passed away at the very young age of 41, it can be speculated that he would have risen to stardom, for his technique, spirit, and presence in his works are truly gifted (his younger brother Shotaro continues Kotaro’s tradition, and he is very popular indeed). 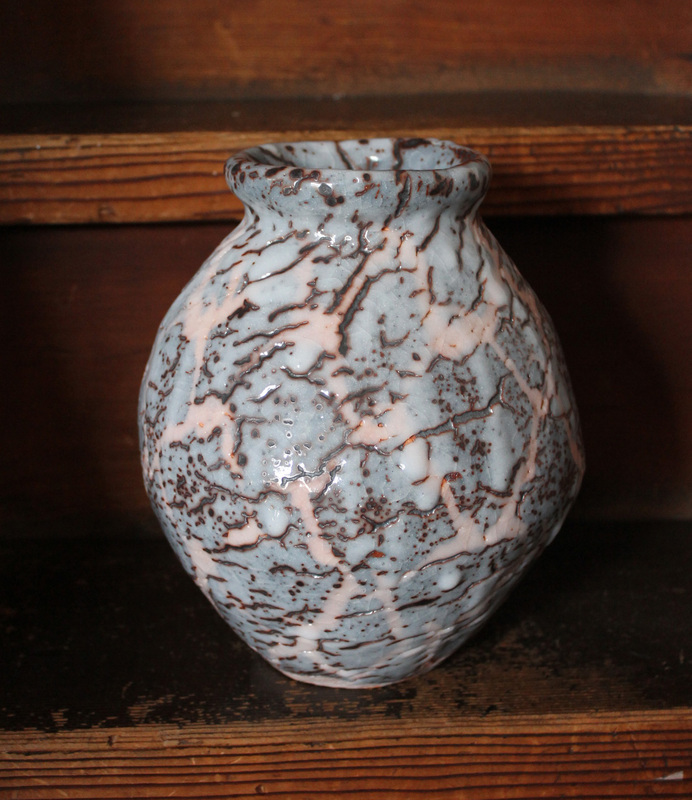 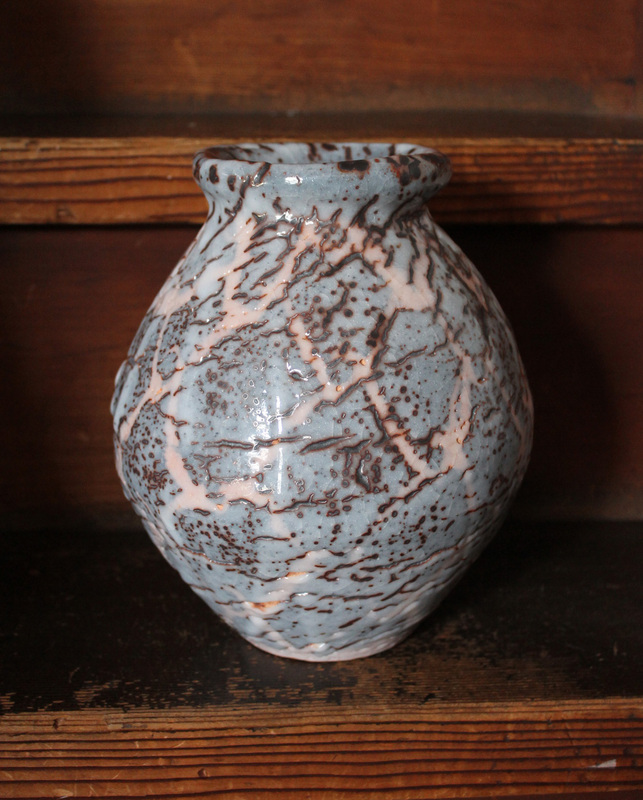 Here is a dynamic Hayashi Nezumi-Shino jar in perfect condition, 23cm.tallx20, perfect condition, extremely rare.